Many of your have been emailing us and commenting about ZenPad tablets in India. As is turns out, India has become one of Asus’ biggest markets, especially with regards to the Zenfone 2. Part of the Zenfestival event, Asus unveiled the ZenPad tablets, their accessories, along with the initial models set for release. Let’s be clear though, those of you wanting details on a Z580CA release date and price? 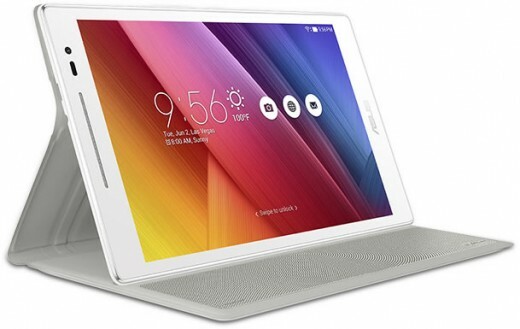 You will need to wait because Asus unveiled two models and those didn’t include the ZenPad S 8.0 model. Sorry to pass along that news! So the two models announced were the ZenPad 8.0 (Z380KL with 4G LTE) and ZenPad 7.0 (Z370CG with 3G). The actual press release suggests the wifi only models will be released in India, however during the actual event the prices were only mentioned for the LTE/3G models. When it will be available in India and what would be the price on India.